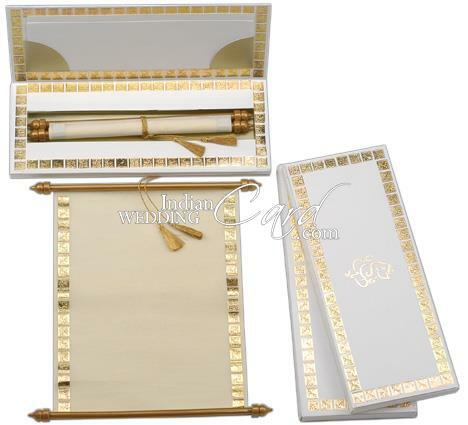 Description: This scroll card has the cream color matched with a border design of gold leaf work motifs. 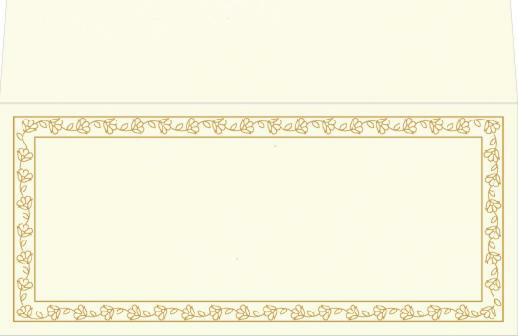 The same motif border is also there in the overall container envelope, which also has a Ganesh ji image in gold leaf work on front and a golden paper docket inside for the optional inserts. 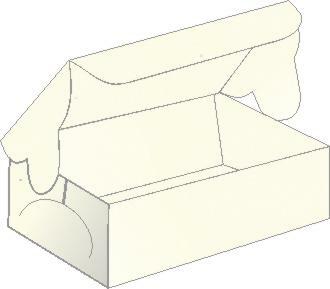 The envelope is similar. 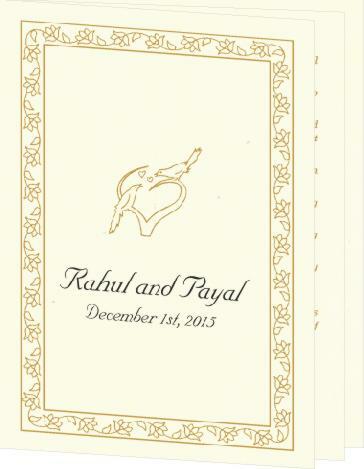 Many thanks for the beautiful invitations for our wedding. 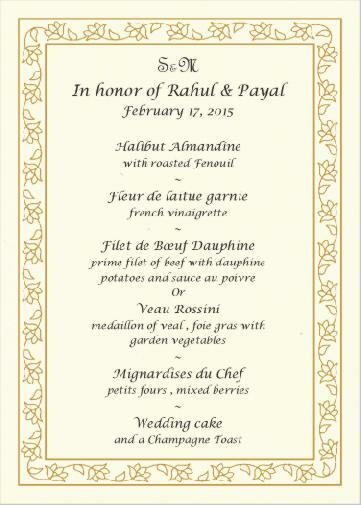 They have really made a great impression on our guests and we are happy with such a unique style for our special day. Great job for the follow up and speedy delivery. We are very happy and will tell our friends! 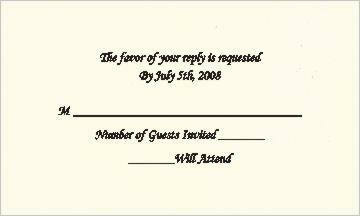 Thank you for sending the invitation and rsvp cards. 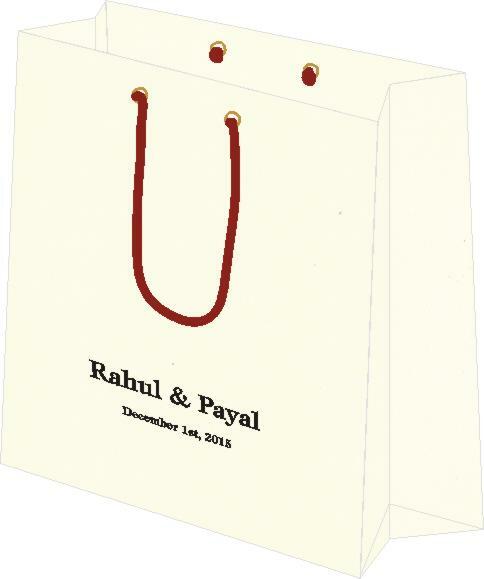 We have received them safely both in Mumbai and Philadelphia. They look very nice! 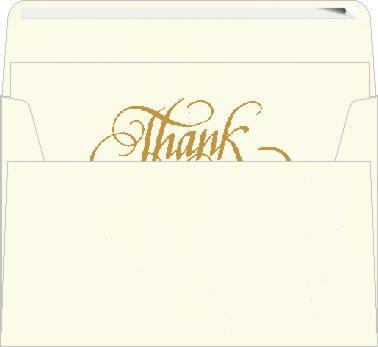 We look forward to you sending the Thank You cards to Mumbai in the near future. 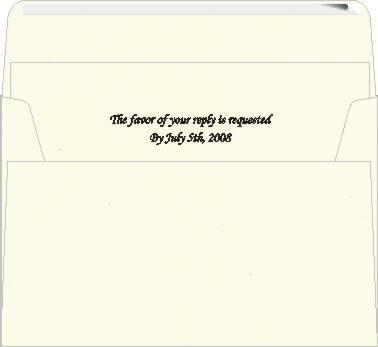 Please confirm when you send the Thank You cards. 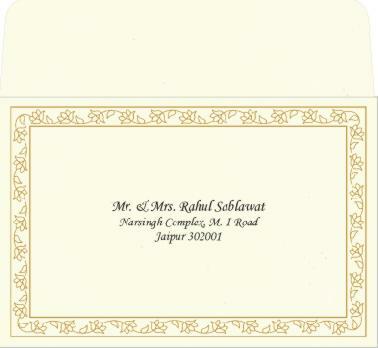 Just received the invitations and they are exquisite! I literally cried when I saw how beautiful they are! Thank you for making my dreams come true! I will carefully look at each of them when I get home I saw one that was damaged, but will check to see if there are many that are damaged. 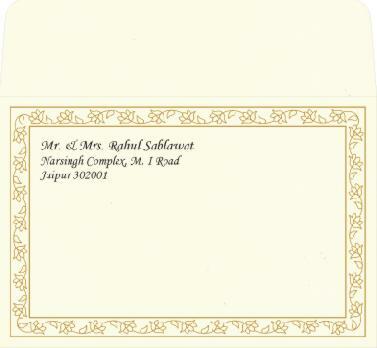 I have received my wedding cards Thank you very much. The cards look great.